Convertible Standard. Except 35th. Save time and money by ordering your interior parts as a package. Interior packages include: Set of seat covers for both seats. Pair of door panels (less trim). Complete front and rear carpet setwith poly backing. No Discount on Interior Packages. Save time and money by ordering your interior parts as a package. 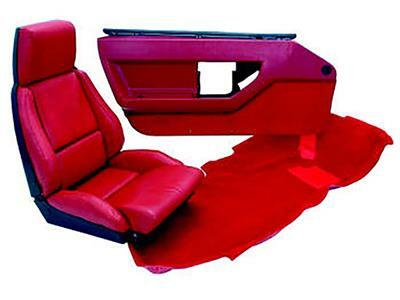 Interior packages include: Set of seat covers for both seats. Pair of door panels (less trim). Complete front and rear carpet setwith poly backing. No Discount on Interior Packages.